We can hardly contain ourselves! How incredible is this father-son duo? 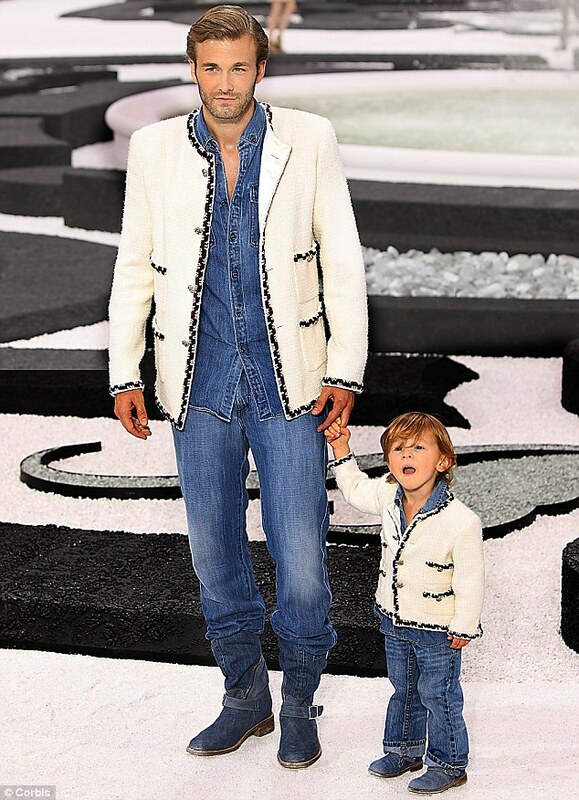 Model Brad Kroenig and his three-year-old model son, Hudson, rocked this AMAZE Canadian Tuxedos at the s/s 2011 Chanel show at Paris Fashion Week. How are we just now seeing this? Lucky us, The Daily Mail posted this picture in their story about little Hudson, who is probably the youngest supermodel working. He even calls Karl Lagerfeld, “Uncle.” Hearts to one of the coolest kids out there. This entry was posted on Tuesday, October 25th, 2011 at 1:20 pm	and tagged with Brad Kroenig, Chanel, Fendi, Hudson Kroenig, Karl Lagerfeld, Paris, Paris Fashion Week, The Daily Mail and posted in Fashion. You can follow any responses to this entry through the RSS 2.0 feed. Thanks for sharing! I find that Chanel look ironic as I think the reason the denim on denim is all the rave right now is due to these hard times, an homage to the working class, wearing such utilitarian fabrics. A message seen in the recent Levi’s ads. A Chanel jacket on a toddler is pretty ridiculous, but then again, so is Uncle Karl.